It has been a rocky few months for the New York City Housing Authority (NYCHA), but the battered agency finally has some good news to report. 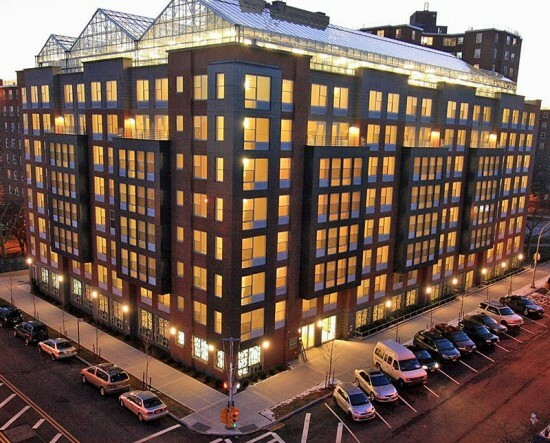 State officials announced the opening of the Arbor House, a 124-unit affordable housing complex, located in the Morrisania section of the Bronx, that is not only LEED Platinum certified, but also features a hydroponic farm on the roof that supplies residents and the surrounding community with fresh produce. Built from local and recycled materials, the 8-story building was designed by New York-based ABS Architecture and includes a living green wall installation in the lobby, air-filtration systems, and indoor and outdoor exercise areas. This $37.7 million housing development came out of a collaboration between city agencies and Blue Sea Development, and according to The New York Observer, is part of a larger initiative by Mayor Bloomberg, which “pairs dilapidated and vacant NYCHA land with private developers to create affordable housing.” The apartments are reserved for low-income households that earn less than 60 percent of the city's median income. Residents will start moving in within the next month. 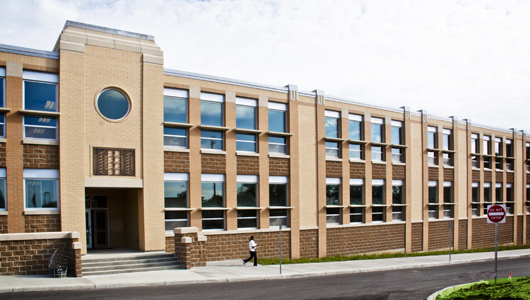 As part of an ongoing relationship with the North College Hill school district in Cincinnati, fellow Cincinnatians SFA Architects helped the district consolidate its many facilities into the space of one city block. The combined Middle-High School building, completed in 2010, last week received LEED Platinum certification, making it the third public education facility in Ohio to earn the green building ranking system’s top honor. Completed within budget, the 198,000-square foot project achieved much of its energy savings by employing efficient HVAC equipment and extensive daylighting. Solar panels on the property will produce about five percent of the facility’s energy, with real-time solar power generation data available online. 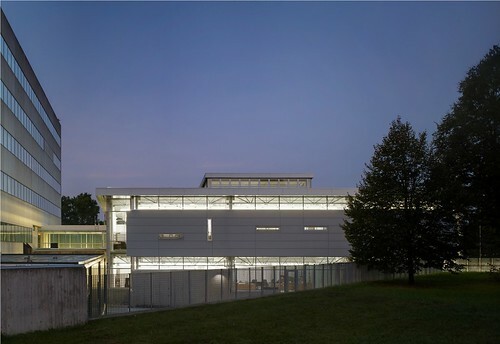 Ohio’s first LEED Platinum school, the London Middle School, designed by SHP Leading Design, was certified in April. That project reduced energy use 42 percent and water usage 40 percent. It also added a 71.2-kilowatt solar array that generates about 15 percent of the school’s yearly needs. 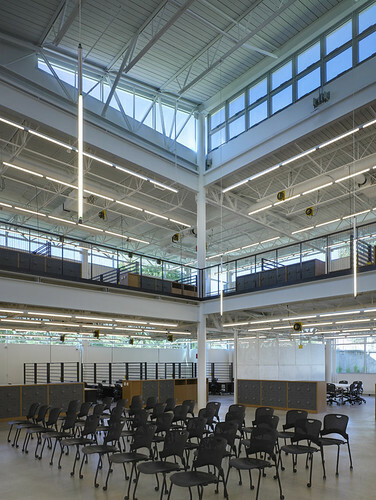 Taft Information Technology High School in Cincinnati is also LEED Platinum. Ribbon-thin Ductal concrete creates sculptural seating at a San Francisco eatery. The Aidlin Darling-designed Bar Agricole has brought new life to a warehouse in San Francisco’s industrial South of Market neighborhood. Built in 1912, the renovated building is now home to the 4,000-square-foot “urban tavern” owned by restaurateur Thad Vogler. Taking an unconventional approach to realizing his design vision, Vogler commissioned work from the designer and a variety of trades in exchange for a stake in the business. One of those craftsmen was Oakland-based concrete design and fabrication company Concreteworks. Concrete isn’t the first material that comes to mind when designing restaurant seating, but Joshua Aidlin envisioned ribbon-thin fixed banquettes extruding from the wooden “hull” that would form one wall of the interior. The seats would complement other concrete elements, including the integrally colored concrete floor and board-formed concrete bars, but they would be made from an ultra-high performance fiber-reinforced concrete called Ductal. Developed by Canadian cement manufacturer Lafarge, the high-strength material is gaining increasing popularity for applications like furniture, facades, and other architectural design elements. With a guaranteed lifespan of 50 years, the material has four to eight times the compression strength of conventional concrete, allowing it to be used for very slender, lightweight structures. Working in their 12,000-square-foot, pre-World War II manufacturing facility, the Concreteworks team created metal formwork for the banquette’s dark gray Ductal elements; the at 5-by-5-by-5- foot pieces are formed with a seat on either side of a parabolic backrest. The entire cast form is only one inch thick. A special form with one seat and one flat side was made for the end of the seating row, and the curling base of each banquette is also cast from a separate mold. A three-piece host stand topped with two-inch reclaimed oak mirrors the seats, which are topped with slender, curving pieces of oak for comfort. 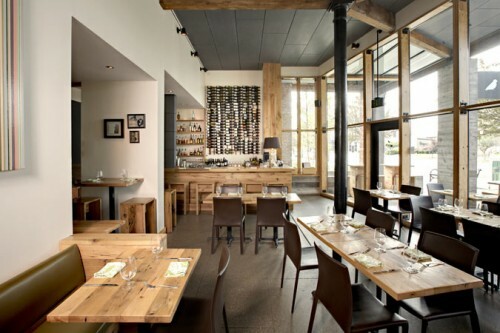 Like the restaurant’s reclaimed elements and locally fabricated materials, Ductal will help the project achieve LEED Platinum certification because it requires fewer raw materials and limits fabrication waste. It's official: design students at Iowa State University learn their craft in a LEED Platinum facility. 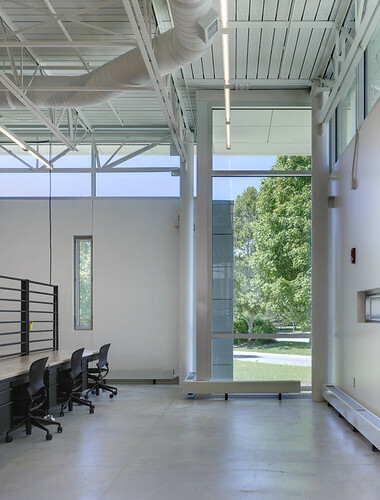 The King Pavilion is the third Platinum building in Iowa, and one of the only design school buildings in the country to reach this highest level of certification. 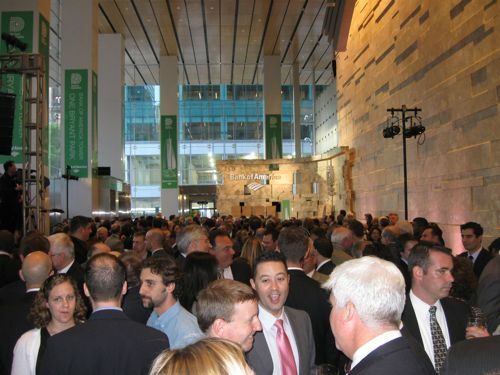 Designed by RDG Planning & Design of Des Moines, the wing features a green roof, extensive daylighting, blue jean insulation and other recycled building materials, among other sustainable strategies. Click through for more photos.